My First Ever Cooking Competition! 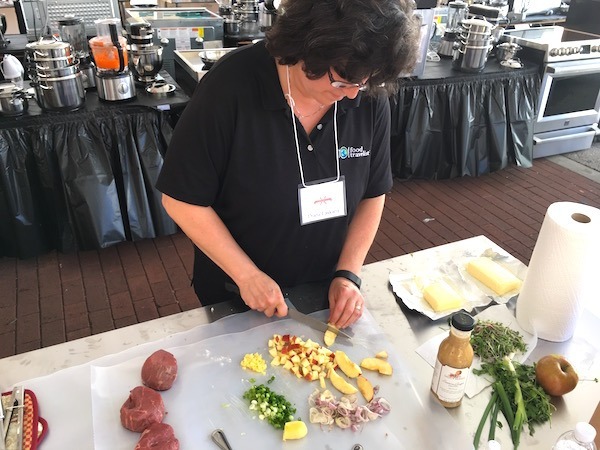 If you’ve ever been to a cooking competition like a chili or bbq cook off or have watched cooking competitions on TV, you may wonder what it’s like to be part of it. Well, I had the chance to give it a try myself and I’m going to share my experience with you. 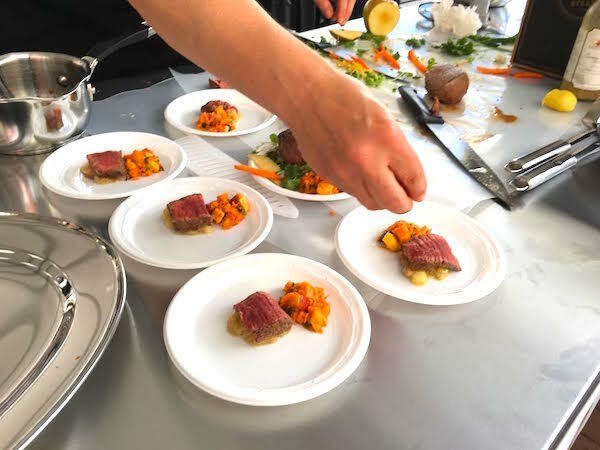 The World Food Championships have been shining a spotlight on the world of “Food Sport” with a competition that brings people from all over the world to compete in various categories ranging from bbq to seafood to dessert and more. The stakes are high as the ultimate winner can get a $100,000 prize. 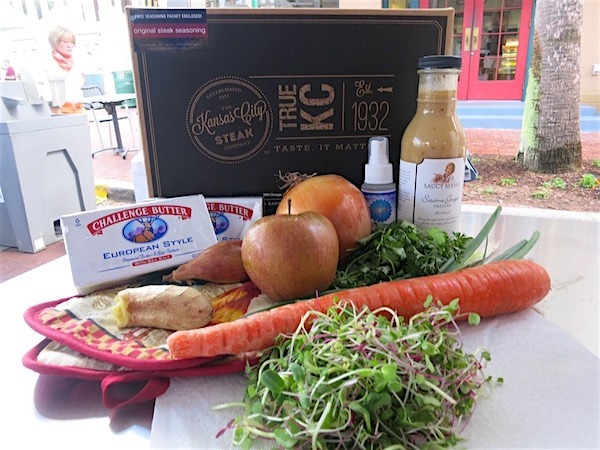 As part of the event in Celebration, Florida, Saucy Mama Sauces, Kansas City Steak Company, The Happy Egg Company (we LOVE this company’s mission of providing humanely-raised eggs and encourage you to learn more!) 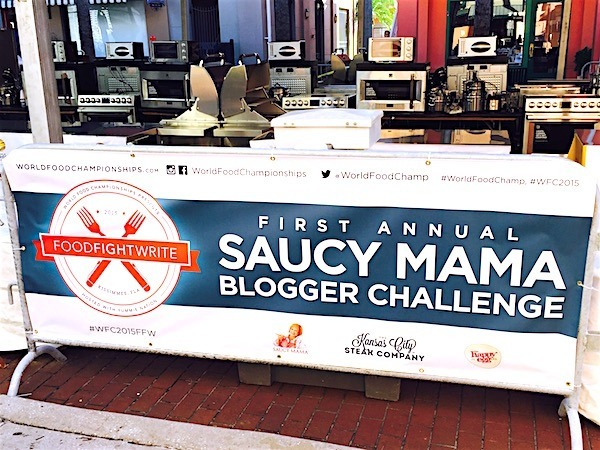 and others sponsored Food Fight Write’s First Annual Saucy Mama Blogger Challenge, where invited bloggers such as myself were given the opportunity to get just a taste of competing in a live food sport event. For this contest, we were required to use Kansas City Steak Company beef filets and Saucy Mama Sauce from a limited selection. While some competitors planned in advance, I was coming directly from another conference (see more about our great time speaking at TBEX so I had to think about what I would make on the fly. 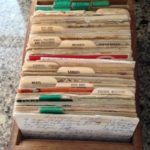 I also had to provide a recipe with my submission, meaning I had to keep track of items, quantities and instructions, something I rarely do. 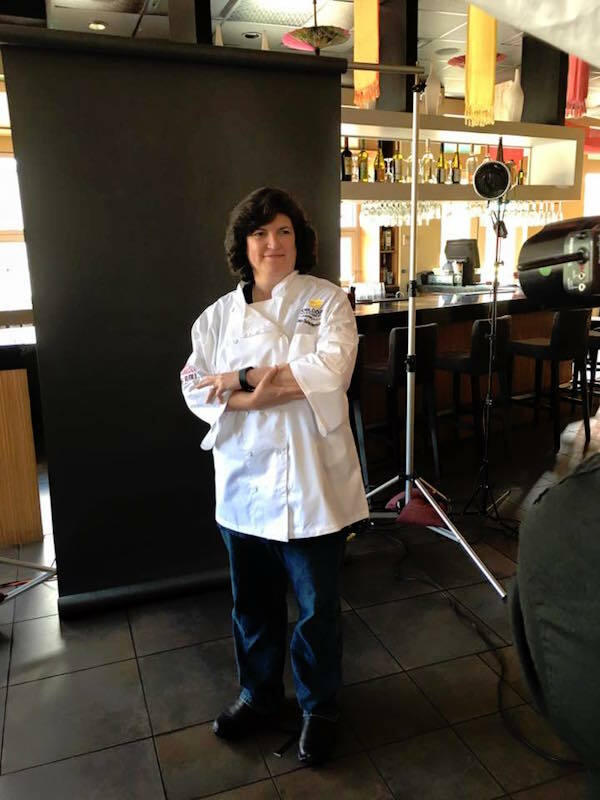 As a first step, we got our photos taken in a chef’s coat. It was fun seeing everyone try to look cool in the Florida heat! Then we got a look at the Kenmore Pro Kitchen Arena. 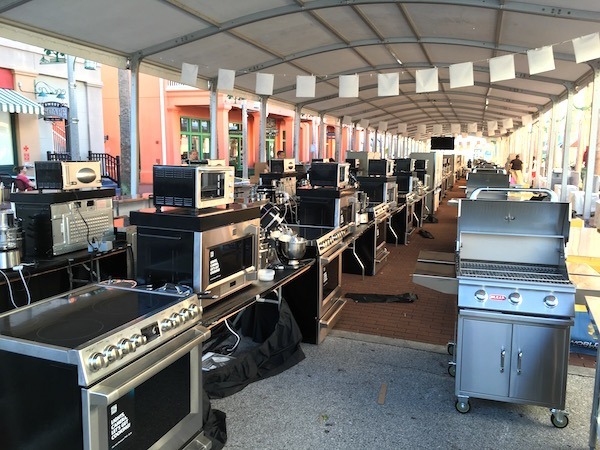 The equipment was amazing, everything you would want in your own kitchen – a free-standing oven and cooktop, microwave, grill, toaster oven and more. We were trained in all the details of the appliances, which represent the state of the art and were being used for the first time in such an environment. Next, we had to do a “pantry run,” which is essentially a race to a table with various ingredients you can use in creating your dish. 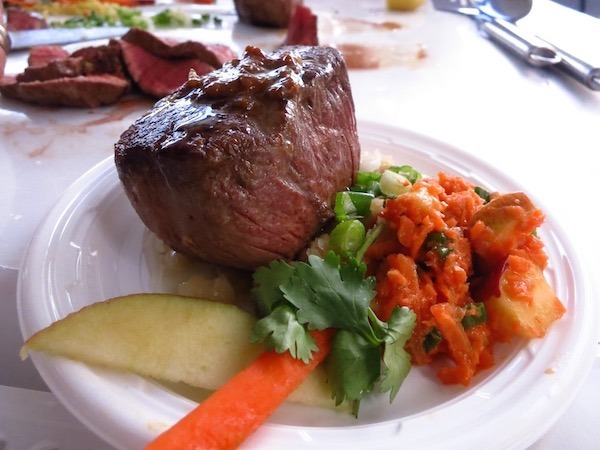 We were told that the only part of the dish that would be tasted by the judges was the meat, so I kept it simple. The sauce I chose to use was sesame ginger, so I picked up a carrot, onion, scallion, shallot, some cilantro and fresh ginger and I had an apple from lunch and thought it would add a nice touch. We were also given some fresh microgreens from a local farm. Once we had the ingredients, we had 90 minutes to prepare our dish. We were to provide one complete dish for the judges to see and 5 small tastes for the judges to sample. 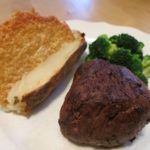 We had been told previously that there were going to be 40 to 50 bloggers so that samples were to be just a bite for the judges. Then we got to work. I caramelized the onion in some butter and added bits of apple. This would be the base on which I’d put my filet. I then briefly marinated the meat in the sesame ginger sauce then used a tried and true method of searing it quickly in a skillet then cooking to medium rare. I decided to add a little color to the plate by making a carrot “couscous” using the food processor to make beads of carrot, to which I added fresh ginger, scallion, apple and cilantro blended with some of the sesame ginger dressing. Just like in preparing a meal at home, I had to keep in mind my timing. 90 minutes is plenty of time, but I had to make sure that the meat wasn’t overcooked and that I had enough time to make the small plates, which are the ones the judges would taste. While I was cooking, my sous chef (aka Sue chef) was taking photos and providing encouragement. I also had a some visitors lending their advice, including Emily Ellyn aka the Retro Rad Chef from Food Network Star, Cupcake Wars and Cutthroat Kitchen. 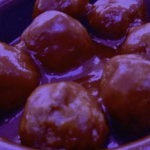 I did my best to make an attractive and appealing dish within the rules and limitations provided. After I turned in my plates and recipe to the judges, our very own Twitter #FoodTravelChat moderator Anthony Martorina (@ant_kneee) stopped by for a taste and gave me a thumbs up. 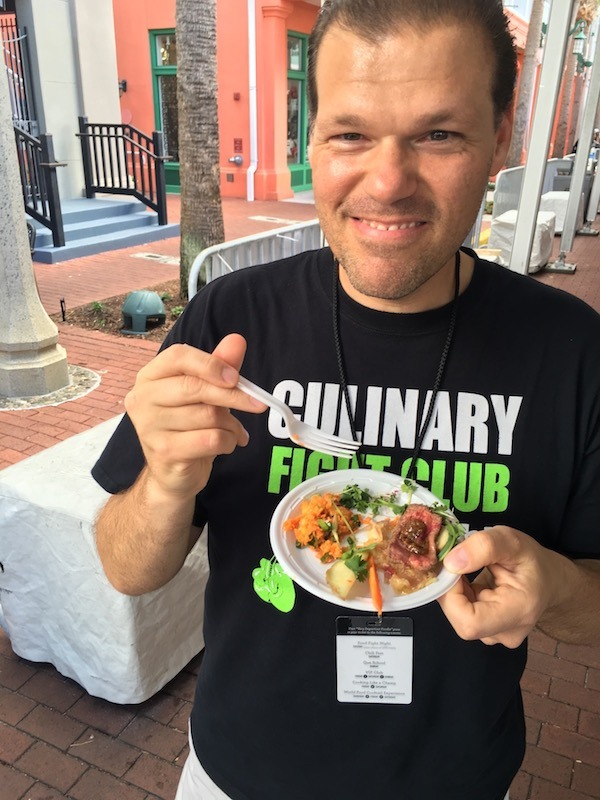 Anthony was also a “Cheferee” for some of the World Food Championship Events, and has a long history of judging food competitions from his wonderful work with the Culinary Fight Club in Chicago. How did I do? Well, I was #15, somewhere above the middle. Not bad for a first try. 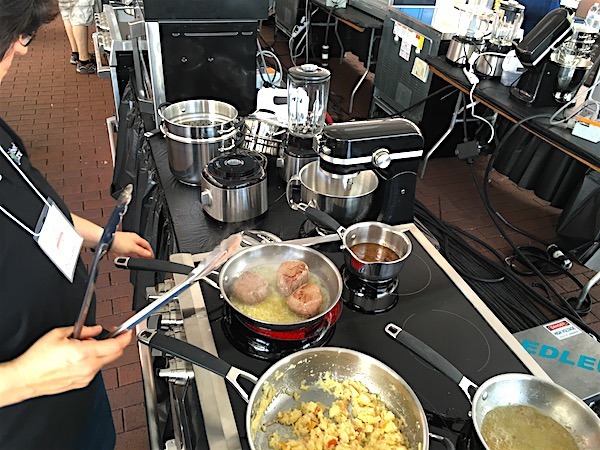 If you are interested in giving the world of competitive cooking a try, you might dip in via some online competitions you can find through sites like Contest Cook and Cooking Contest Central. Or see what live cooking competitions are going on near you such as those here. Who knows? 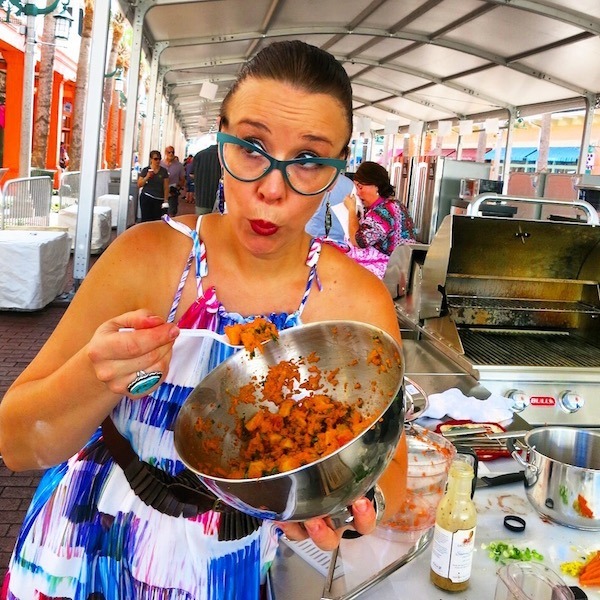 One day you may find yourself killing it at a cook off or living it up on TV. The important thing is to have fun and be sure to follow the rules. You’re bound to learn from the experience! THE QUICK BITE: If you’ve ever been to a cooking competition like a chili or bbq cook off or have watched cooking competitions on TV, you may wonder what it’s like to be part of it. Well, I had the chance to give it a try myself and I’m going to share my experience with you. Looks like you all had much fun:) It is always good to challenge yourself in a competition! I love these contests, especially when they involve environmental and animal friendly companies. Congtulations! 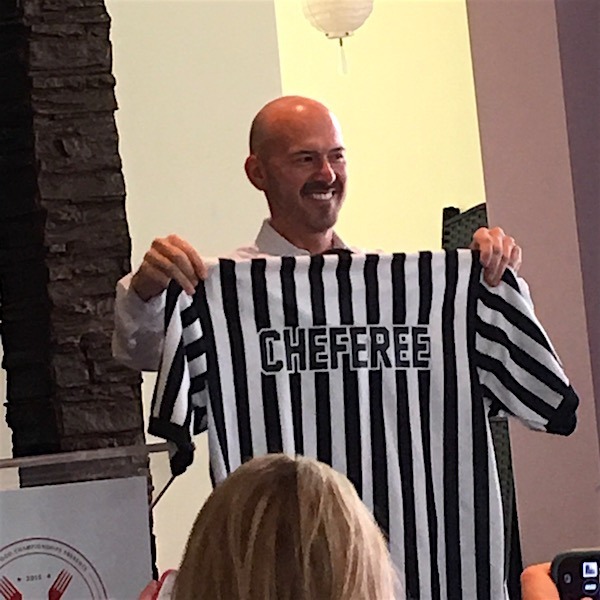 What a great article and photos of our time at the Blogger Conference. It was such a pleasure to meet both you and Sue!! Hope to see you next year! Nice to meet you too Rebecka. Congrats on the win! I am so impressed! I am a great home cook, but it’s the “race” part that scares me. If I had to rush, I would be so apt to have a brain freeze and forget everything! The most impressive part is that you tried something brand new! You were willing to go out and find adventure, just to attempt the challenge! Wonderful! There were a few observers walking around taking video and photos. It was a little crazy inside each kitchen but I bet those watching from the outside got a good sense of who was panicking and who was on track. What an adventure! Im so proud of you and was biting my nails all day in anticipation. I would have been a complete wreck! lol. Great job lady! Thanks! I was very calm because in my mind the one thing that I had to truly get right was the cooking of the steak. Fortunately, I nailed that part and my taste testers were happy about that! <> I thought a microgram was a measurement not something you could get fresh from a local farm. No one has ever accused me of channeling Martha Stewart. I’ve watched her video of how to fold a fitted sheet a zillion times and still can’t do it. I totally want to do this. I am a cooking food show junkie and would love to see how I would go. You did so well you should be proud of yourself. Thank you. I never heard of the online cooking competitions that are available until this experience. You can try one of those to see if you enjoy it and then maybe go to a live event if you do. Let us know if you do and we’ll cheer you on! Congratulations! I can’t even begin to imagine how stressful that would have been! Thanksgiving will be a piece of cake….so to speak! Fantastic. That must have been a scary, exhilarating, fulfilling, inspiring experience. Emily’s look, though? Emily is a hoot! She’s totally down with the retro rad concept from looking to cooking. She’s a lot of fun and it was great getting to know her.